Breakthroughs. Miracle cures. Paradigm shifts. Dramatic advances. As someone who received his psychology Ph.D. in 1990 (University of Minnesota, clinical psychology), I’ve heard all of these phrases, and many more, over the years. In the intervening 28 years, I’ve lost count of the number of psychological and medical interventions that I’ve seen described as “cures “ or quick fixes for serious or even intractable conditions, such as autism spectrum disorder (autism), schizophrenia, depression, and posttraumatic stress disorder. Barely a week goes by that I don’t receive an email in my inbox or a flyer in my mailbox that advertises a workshop on a new “breakthrough” clinical method, such as an energy therapy for anxiety disorders or a brain-based therapy for clinical depression. The field of psychotherapy, family therapy in particular, is especially susceptible to this trend (Meichenbaum & Lilienfeld, 2018). To take merely one example among hundreds and perhaps thousands, one website promotes “The Bulimia Breakthrough Method-2018,” a technique that relies on hypnosis to “work below consciousness to interrupt the addictive behaviours”, as a powerful intervention for eating disorders. Perhaps the Bulimia Breakthrough Method really does help patients with bulimia nervosa; I don’t know, and despite a literature search, I couldn’t locate a single published study on its efficacy. But I’m exceedingly dubious that it is a breakthrough. Why? There have been few or no increases in the average effect size of psychological interventions over the past three decades (Budd & Hughes, 2009), and even the most effective psychological interventions, such as prolonged exposure for obsessive-compulsive disorder and cognitive-behavioral therapy for major depression, still leave significant numbers of patients with significant residual symptoms (Arkowitz & Lilienfeld, 2006). All of these findings should be grounds for humility in our claims. The same goes for such extensively hyped methods as psychedelic-assisted psychotherapy, described in a recent academic article as a “paradigm shift” (Schenberg, 2018). Perhaps it will indeed prove to be a paradigm shift, but until more compelling evidence is in, I am holding off on encouraging my clinical colleagues to purchase hallucinogens for their therapy clients. In my experience as an instructor of graduate students in clinical psychology and allied fields for three decades, one of the most widespread thinking errors that I have encountered, among even the best and brightest of students, is what I term “breakthrough-ism” (Lilienfeld, 2017): the tendency to regard novel interventions as breakthroughs rather than merely as potentially promising techniques that may be worthy of investigation (Lilienfeld, 2017). Breakthrough-ism is potentially dangerous, as it can lead us to latch on to ineffective or even harmful fads. As the literature on placebo effects teaches us, genuine hope can be helpful (Kirsch, 2005), but false hope can be detrimental, not to mention cruel to patients and their loved ones, whose hopes are dashed. In my view, teaching graduate students to avoid the seductive temptations of therapeutic hype is among our foremost responsibilities as teachers. Even graduate students in non-clinical fields, such as experimental psychology, developmental psychology, and neuroscience, must be vigilant of claims regarding breakthroughs. Hence, although I am cautiously optimistic about the prospects of genome-wide association studies, epigenetics, the microbiome, computational psychiatry, big data, machine learning, and any number of relatively recent trends in psychological fields, I view them with at least a dose of healthy skepticism, as I’ve witnessed far too many heavily hyped advances not live up to their billing. As one example, I vividly recall when I was a graduate student in the 1980s, many psychologists and psychiatrists were confidently forecasting that positron emission tomography (then a new kid on the neuroscience block) and other newly emerging brain imaging techniques would soon render the field of neuropsychology obsolete. They would also, we were assured, soon replace the in-person clinical interview as a method of arriving at formal psychiatric diagnoses. Well, neither promise materialized, and neither seems to be close to coming to fruition. When the Diagnostic and Statistical Manual of Mental Disorders (DSM-5; American Psychiatric Association, 2013) appeared in print five years ago, it did not contain a single brain imaging finding for any of its 300+ mental disorders. How can we combat breakthrough-ism? I don’t know for sure, but I suspect that learning more about the histories of psychology and psychiatry is a partial corrective (Lilienfeld, 2017). In particular, the appreciation that scores of well-intentioned interventions once widely assumed to be therapeutic breakthroughs did not pass the test of time may help to temper our premature enthusiasm regarding the prospects of contemporary treatments. Regrettably, few of today’s graduate students know much about the history of the discipline, largely because the teaching of the history of psychology has been increasingly de-emphasized in many graduate programs. Several years ago, my own psychology department at Emory University voted to eliminate the history of psychology requirement for its graduate students; I was among the few dissenters. In a useful article, Braslow (1999) reviewed the often-sordid history of somatic treatments for mental disorders, including those that turned out to be disastrously ineffective and dangerous, such as prefrontal lobotomy malaria fever therapy, and insulin coma therapy. To that list, one could add a host of others, such as bleeding, blistering, purging, tranquilizing chairs, the Utica crib, and the surgical removal of bodily organs (for a horrific recounting of the latter, see Scull (2007). We rarely teach today’s students about these mistakes of the past, and when we do, we often impart the wrong lessons about them. Specifically, we typically emphasize how cruel and inhumane these interventions were, and how far we have come since the bad old days. Yes, these were indeed cruel and inhumane interventions. Yet, as Braslow wisely observes, the far more important lesson is that most practitioners of the time were earnestly trying to help, and sincerely believed these methods to be beneficial. Indeed, two of these interventions – prefrontal lobotomy and malaria fever therapy – earned their principal practitioners Nobel Prizes in Medicine or Physiology (Egas Moniz for the former and Julius Wagner-Jauregg for the latter). What does this teach us about our present-day efforts at evidence-based medicine? First, this history should encourage a sense of humility despite our scientific and therapeutic advances. Every generation believes in what they deem as "evidence" and, as this history illustrates, what counts as evidence is not fixed, but evolves over time. Second, this history should encourage us to ask critical questions about our contemporary methods of producing evidence and treating patients, since, if history is any guide, these methods will no doubt be subject to revision (p. 238). By all means, let us remain open to new and exciting developments in our field, and be willing to subject them to systematic inquiry should they appear promising. At the same time, however, let us recall how often well-meaning practitioners of bygone eras who were just as bright as us were woefully mistaken. In this respect, learning more about the history of our discipline should be an essential element of graduate education in psychology. Humility should be our watchword, and nothing can keep us more humble than learning about the errors of the past. American Psychiatric Association (2013). Diagnostic and statistical manual of mental disorders, fifth edition (DSM-5). Washington, D.C.: Author. Arkowitz, H., & Lilienfeld, S. O. (2006). Psychotherapy on trial. Scientific American Mind, 17(2), 42-49. Braslow, J. T. (1999). History and evidence-based medicine: Lessons from the history of somatic treatments from the 1900s to the 1950s. Mental Health Services Research, 1, 231-240. Kirsch, I. (2005). Placebo psychotherapy: synonym or oxymoron? Journal of Clinical Psychology, 61, 791-803. Lilienfeld, S.O. (2017). Knowledge of the history of clinical psychology: A partial antidote against “breakthrough-ism.” Society for a Science of Clinical Psychology Newsletter, 20 (3), 2-3. Retrieved from http://www.sscpweb.org/resources/PDFs/Newsletter/2017/Clinical%20Science%2020(3)%20Fall%202017.pdf. Meichenbaum, D., & Lilienfeld, S. O. (2018). How to spot hype in the field of psychotherapy: A 19-item checklist. Professional Psychology: Research and Practice, 49, 22-30. Schenberg, E. E. S. (2018). Psychedelic-assisted psychotherapy: a paradigm shift in psychiatric research and development. Frontiers in Pharmacology, 9, 733. Scull, A. (2007). Madhouse: A tragic tale of megalomania and modern medicine. New Haven, Connecticut: Yale University Press. Scott O. Lilienfeld, Ph.D., received his B.A. in Psychology from Cornell University in 1982 and his Ph.D. in Clinical Psychology from the University of Minnesota in 1990. He completed his clinical internship at Western Psychiatric Institute and Clinic in Pittsburgh, Pennsylvania from 1986-1987. He was assistant professor in the Department of Psychology at SUNY Albany from 1990 to 1994, and has been a faculty member in the Department of Psychology at Emory since 1994. He is editor-in-chief of Clinical Psychological Science. He is also a visiting Professor at the University of Melbourne in Australia. As instructors, we consistently endeavor to engage students in the classroom, in course material, and in the learning process in order to promote growth and deepen understanding of course material. One pathway to increase student engagement and comprehension is through experiential learning ─ and in particular though service-learning. Service-learning is conducive to building critical thinking skills, empowering students to take an active role in their learning and increasing understanding of material. In fact, there is a substantial body of literature highlighting how service-learning is a powerful educational tool that can have a transformative impact on students, for example, increasing self-esteem (e.g., Celio, Durklak, & Dymnicki, 2011), self-efficacy (e.g., Aston, 2000), as well as engagement in leadership activities (e.g., Astin et al., 2006), social skills, cultural competence, and social problem solving (e.g., Simons & Cleary, 2006). Service-learning courses educate students by engaging them in the classroom as well as the community, while educators facilitate students’ reflection on their experiences in both environments (Giles & Eyler, 1994; Cress, Collier & Reitenauer, 2005; Kiely, 2005). Broken into its simplest components, service-learning consists of a classroom component, a placement within a community organization typically outside of the college, and the students who engage in the course. Educators have significant control over the nature of the classroom and community placements, making those components especially important to study. There are a number of different theoretical frameworks that describe the mechanics of change in a service-learning course. A shared theme among these theories is that through community service, students have critical experiences, or “disorienting dilemmas” (Mezirow, 2000), that shake-up how they think about themselves, others, or the world around them. Classroom work helps prepare students for disorienting dilemmas and helps them make sense of their experiences. However, the disorienting dilemma is most likely going to occur at the community placement. The study I describe here (see Shor, Cattaneo, & Calton, 2017) was conducted with undergraduate students in a service-learning course on community engagement and social change. Using poverty as a semester-long case study, the course was designed to teach undergraduates that social problems have social causes, and to apply multi-level analysis to understand the impact of these social problems on individuals and communities. In addition to course readings, experiential classroom exercises, and class assignments, students also completed 20 hours of service with community partners (e.g., a local homeless shelter). This study extended research on transformational service-learning by examining the impact that a community placement context can have on college students’ transformational processes. Using the consensual qualitative research (CQR; Hill, Thompson, & Williams, 1997) method of qualitative analysis, we examined 43 essays written by undergraduates taking the course, in which they described an experience they found to be “eye-opening” while learning about the development and maintenance of poverty in the United States. A middle school girl was telling me how her 19 years old sister died giving birth to her baby, and how her three brothers died in war. Her parents and her three younger siblings came to United States 7 years ago. Her parents left three kids back in Somalia because they couldn’t afford to take the other kids with them. To me this was an eye-opening moment as I got to make a connection with someone I never thought I would have. I did not realize how I had stereotyped and stigmatized the homeless by never thinking I could indeed have a stimulating conversation with them or relate to them. I failed to see them as regular people who have gone through tremendous difficulties in their lives. One explanation for this contrast is that students and clients have different role expectations in the different settings. 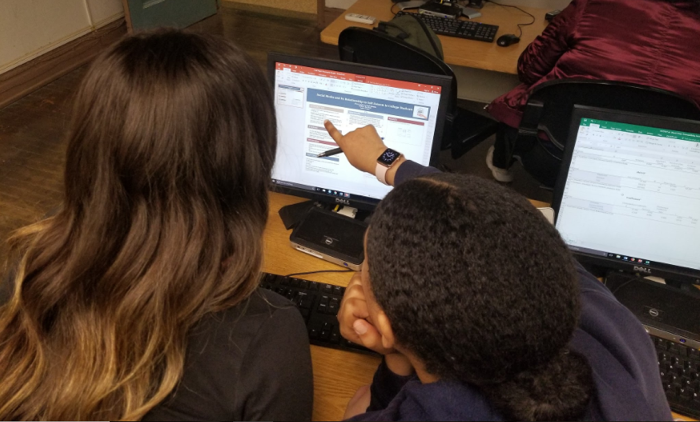 In a shelter, students are typically assigned administrative work and have rigidly defined job responsibilities; for example, they provide resources, open locked doors, answer phones, or tutor. Within the shelter context, students have a clear position of power relative to clients, many times with the physical barrier of a desk or table separating them. These physical and psychological barriers keep them somewhat removed from clients and put them in a position to observe others. Outside of the placement facility, though, role expectations may be less clear, and students and clients may have more opportunity to interact as individuals rather than as helper and client. These findings suggest that different contextual components may therefore expose students to different types of experiences, which potentially facilitate different pathways towards transformation. Instructors have a profound impact on students’ classroom experience and choosing community partners, and these findings have the potential to allow educators to customize service-learning experiences for students. Educators may choose to foster specific community partnerships that emphasize home-based services rather than working at a shelter, knowing that interactions in and outside of an organization's physical location may lead to qualitatively different experiences. Alternatively, instructors may vary their in-class activities and course material based on the context of students’ placements to foster different reflection and critical thinking skills. Ultimately, these findings support the existing literature that service-learning with adequate reflection has the potential to transform students’ thinking and promote growth. Shor, R., Cattaneo, L., & Calton, J. (2017). Pathways of transformational service learning: Exploring the relationships between context, disorienting dilemmas, and student response. Journal of Transformative Education, 15, 156-173. doi: 10.1177/1541344616689044. Astin, A. W., Vogelgesang, L. J., Ikeda, E. K., & Yee, J. A. (2000). How service learning affects students. Los Angeles: University of California Los Angeles, Higher Education Research Institute. Retrieved from http://digitalcommons.unomaha.edu/slcehighered/144. Cress, C., Collier, P.J., Reitenauer, V.L. and Associates (2005). Learning through serving: A student guidebook for service-learning across the disciplines. Sterling, VA: Stylus. Giles Jr., D. E., & Eyler, J. (1994). The theoretical roots of service-learning in John Dewey: Toward a theory of service-learning. Michigan Journal of Community Service Learning, 1(1), 7-85. Hill, C. E., Thompson, B. J., & Williams, E. N. (1997). A guide to conducting consensual qualitative research. The Counseling Psychologist, 25, 517–572. Kiely, R. (2005). A transformative learning model for service-learning: A longitudinal case study. Michigan Journal of Community Service Learning, 12, 5–22. Mezirow, J. (2000). Learning as transformation: Critical perspectives on a theory in progress. The Jossey-Bass Higher and Adult Education Series. San Francisco, CA: Jossey-Bass. Simons, L., & Cleary, B. (2006). The influence of service learning on students’ personal and social development. College Teaching, 54, 307–319. Rachel Shor is a doctoral candidate in Clinical Psychology at George Mason University. With experience as a trauma counselor and a doctoral student researcher, she has examined the impact of interpersonal violence and multicultural counseling. Rachel’s current research investigates the interpersonal dynamics of power, implicit social cognition, and disclosure during the process of help-seeking. Navigating the job market for faculty positions is never easy. This is true of research-oriented positions, and it’s also true of teaching-oriented positions. This blog post highlights some tips on how to specifically navigate the job market for teaching-oriented faculty positions. Why this focus? Well, that is where my experience lies. In the past 8 years, I have twice entered the full-scale, nationwide job market in search of teaching-oriented positions. I served as a visiting assistant professor at Widener University for three years, then I took on a position at Sewanee: The University of the South, where I have recently been awarded tenure. I have served on many search committees for tenure-track and visiting appointments. I also serve as the Co-Director of my university’s Center for Teaching, so I interact with lots of new faculty, many of whom have been beleaguered by job market trials and tribulations. Before delving into specific tips, I should point out that this piece draws substantially, but not exclusively, from a chapter in Preparing the New Psychology Professoriate (Troisi, Christopher, & Batsell, 2014). If you haven’t seen this e-Book and you are applying for faculty positions at teaching-oriented schools—or will soon be applying—download it. It’s free. Stop reading this, download it, then return when you’ve done that. Tip #1: Know the nature of the job to which you are applying. Faculty positions come in great variety. Some are tenure-track jobs, some are short-term visiting (e.g., 1 semester, 1 year), some are long-term visiting (e.g., 1-3 years), and some do not really fit any of these categories. To the extent you can, try to determine what type of position is being offered. The job ad might have some hints, and often some reading between the lines will be necessary (hint: if there is text referencing a “sabbatical replacement,” then this most likely means this job is a short-term gig). Your professional networks might also have some insight, so ask around with those you might know, especially near the school. Knowing the nature of the position allows you to tailor your application materials appropriately. At my teaching-oriented institution, if we are hiring a sabbatical replacement, it does relatively little good for job application materials to trumpet research prowess—we are simply not hiring for that. Tip #2: The cover letter is the most important piece of the application; the vita is a close second. Here’s the dirty little secret from the hiring side of the job interview process: most candidates’ application materials look pretty much the same. When we have a pile of 20, 70, or 150 job applicants, one article reprint from one applicant usually does not stand out in the pile. What does stand out though—at least to me—are thoughtful, well-crafted cover letters and vitas. Let me address the vita first. At teaching-oriented schools, if your vita does not highlight and elucidate your teaching-oriented accomplishments, well, it’s game over. List courses you’ve taught and courses for which you’ve served as a teaching assistant (and please make sure to distinguish between the two). Also list teaching workshops you’ve attended, publications or presentations of Scholarship of Teaching and Learning (SoTL), mentorship of students, and anything else that will make you stand out at job where your primary duties will be working with students (and most often at teaching-focused institutions, undergraduates). Now, the cover letter. This I view as the most important part of the job application. This is where you highlight what’s important to you. Ideally, these things should also be valued by the school to which you’re applying. This is where you pick out pieces of your vita that are particularly relevant. This is also where you tell the story of why you want this job, at this university, in this department, and ideally, in this part of the country. Teaching-oriented universities want strong teachers, they are likely not looking for research stars. So, tell us why you want to teach and make a life here. Tip #3: Communicate how you will be a team player. This one almost goes without saying. But then again, I’ve been on the hiring side of the selection process for new faculty members, and some people did not appear to get this advice. Teaching-oriented universities are smaller, and often have smaller departments. Duties get shared within units at the school (e.g., departments, divisions, colleges), and especially when those units are small, it is important that those involved in the completion of those duties work well together. What does this mean for you, the job candidate? Both on paper and during phone and campus interviews, make clear that you can make a valuable contribution to the enterprises currently underway. Does the department need you to teach new courses that are not yet in the course catalog? If so, express your excitement for developing those new courses (it will be work, sure, but it will also be exciting!). Teaching-oriented institutions want candidates to be a part of the intellectual and community life of their students. Make clear that you are interested in making a contribution and impact. Though, a word of caution on being a team player is warranted. Do not go overboard with promises, especially promises that would be difficult to keep. Making a promise then failing to follow through can lead to resentment. Make the promises you know you can fulfill, then for other requests, point out that you would harness the skills you have, connect with the people on campus who have information, and do your best to make progress. This, after all, is the best that anyone can do when they don’t have the answers they need. Jordan Troisi, Ph.D., is an Associate Professor of Psychology at Sewanee: The University of the South, where he also serves as the Co-Director of the Sewanee Center for Teaching. Dr. Troisi has demonstrated a commitment to the teaching of psychology, having served in various capacities within the STP, including his current post as the Director of the Annual Conference on Teaching. In addition to his research examining best practices in college teaching, Dr. Troisi also studies the mechanisms through which humans achieve belongingness. Graduate school places a lot of demands upon your time. There are many balls to juggle, including classes to take, research projects to finish, work for your assistantship, engagement in applied practica (for some), and likely some sort of teaching experience. With all of those demands, it can be hard to find time for essentials like eating and bathing, much less taking time for yourself to “have a life.” With so many balls in the air, it is natural that it can be difficult to prioritize each of them. Unfortunately, many graduate students have received the message (either explicitly or implicitly) that teaching is a low priority on that list. The typical argument is that time spent on teaching takes away time from something else that is presumably more important, like research. Doctoral training programs typically exist in research-intensive universities, where the institutional climate often overtly values research over other professional activities. Faculty who are training graduate students have likely had to internalize this value in order to survive in that climate: the proverbial publish or perish notion. In that model of academic success, a person’s time is assumed to be a zero-sum game: time spent on something like teaching is time taken away from research. However, I argue that this idea is a myth, albeit one that is grounded in some reality. It is true that there are only 24 hours in a day. A person can only do so much. However, the myth is predicated on the idea that time spent on teaching and research are independent and mutually exclusive. In other words, time spent on teaching is irrelevant to one’s research, and time spent on research is irrelevant to one’s teaching. To break the hold of this myth, one simply needs to find ways to overlap the two. Thankfully, creating overlap between one’s research and teaching interests is not so hard to do. The simplest way is to teach courses that are related to one’s area of research. Reviewing a topic as part of preparing a course is a great way to generate new ideas for next steps in your own research program. Covering topics related to your research in class gives you a broader and firmer grasp of the field. Reading assignments for class could be papers that you needed to read anyways for your next literature review. Including your research can also help improve the quality of the course. Sharing your own work with the class provides a real example for your students about how the field works. Sharing examples from your own research brings the topic to life in a way that talking about other people’s studies rarely does. You can share your own passion with your students, which is one of the best ways to get them engaged in a topic. Indeed, the whole model of higher education came from the idea that people who are on the cutting edge of knowledge generation (i.e., researchers) should be the ones best suited to teach others about that topic. While that idea is incomplete in that knowing how to teach effectively is not inherent in having knowledge about a topic, the kernel of truth is that researchers are specially poised to know more about a topic than most anyone else. It is a strange and counterproductive taboo that we do not spend more time talking about our own research in our classes. While teaching a class in one’s research area makes creating overlap easy, you do not always have control over what classes you teach, nor do you only teach classes that are in your specific research area. How then can you create overlap between teaching and research in other kinds of classes? The solution is to engage in the Scholarship of Teaching and Learning (SoTL). As psychologists, we are all scientists, and scientists gather data to improve what they are doing. When part of your professional life includes teaching, it makes perfect sense to gather data to evaluate your teaching and suggest ways to make it better. By doing so in a principled, systematic way and then disseminating the results, you have engaged in SoTL and gotten yourself a research product along the way! In that case, course prep becomes research prep and vice versa. There are many other factors that engender the message that teaching is not where you should spend your time as a graduate student. There is a real disparity in how teaching and research are rewarded within academia, although that disparity is more prominent at certain kinds of institutions than others. Shifting the value system of higher education is no small feat. However, not engaging in the myth in your own professional life is a good first step towards creating change. Jared W. Keeley, Ph.D., is a Teaching Associate Professor at the Virginia Commonwealth University. Dr. Keeley's primary research interest involve the classification of psychopathology, especially as used by mental health professionals. Having formerly served as a GSTA Chair, Dr. Keeley continues to be invested in the scholarship of teaching and learning as well. Experimental Psychology aims to teach students the essential skills associated with evaluating, conducting, and communicating research findings. The course aims to satisfy two main learning objectives: to help students conduct valid research and help them communicate research findings effectively using APA style. In our experience, the course is typically viewed by students with dread because of the heavy emphasis on methods, statistics, and writing. 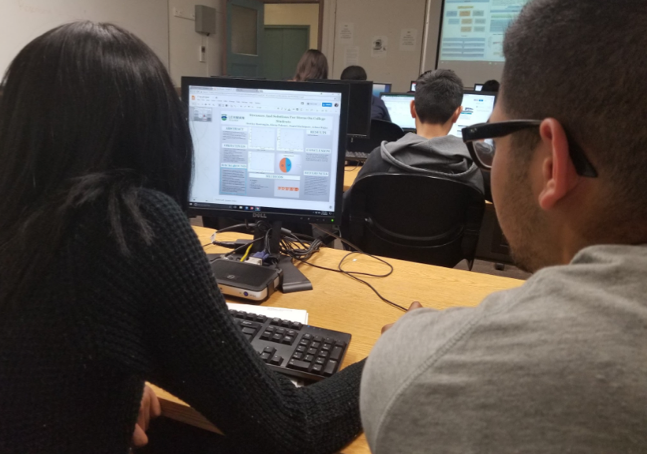 Students complete labs on a variety of topics (e.g., naturalistic observation of human behavior on the subway, surveys of social media use and self-esteem, Stroop interference, implicit associations) and they generate a lot of data! Given the large number of labs (usually a minimum of six per semester), we asked ourselves, What we could do to help students communicate their findings without requiring full lab reports? While communication is an important skill to develop in undergraduate students, having them write full lab reports for each of the studies is very time-consuming and frankly overwhelming for us to grade, given our heavy teaching loads and other obligations. With all this in mind, we asked, How can we modify the course so that students gain practice communicating their findings in a professional format, but without the pressure of writing lengthy papers? The solution that we came up with is to have students work on posters that effectively serve as outlines for APA-formatted lab reports. Posters teach students how to organize their ideas, write a concise statement of research questions and study aims, identify and cite relevant source materials, summarize important points from previous literature, create graphic displays of research methods and results, and communicate the main findings (orally as well as in writing). Budding researchers often begin their careers presenting posters at conferences, yet coursework does not prepare them for them for this task. The first question people (and students) ask us is “Do the students have to print all these posters?” No, we do not kill any trees! Instead, we have students pull up their posters on lab or laptop computers to get individualized peer and instructor feedback, and they make their final poster presentations using the overhead projector at the front of the classroom. To get students started, we show them examples of posters and provide a template that they can use. We talk about the different parts (i.e., abstract, background, methods, results, discussion, references) that need to be included as well as design elements like color, fonts, background, pictures, and graphics (i.e., tables and figures). One of us uses post-it notes to help students figure out how to arrange information to fit within dimensions of the poster, and then we have students go around the room to give each other feedback on what should go where. The poster-making assignment also works well in a class where students conduct their own semester-long research projects and turn in an APA style paper as the final product. Since they have had repeated experiences with each of the core components of an APA style paper in poster form, they have a stronger concept of what should go into a full lab report. Having students work incrementally in developing pieces of their lab reports in the form of a poster (and setting weekly deadlines) helps them to organize and progress in writing the full written report. At the same time, it provides multiple opportunities for us to give feedback, which helps students better prepare for their end-of-semester oral presentations. During peer-feedback sessions, students walk around and learn about their classmates’ posters and projects, just as if they were at a conference. They get a sense of what a conference might be like and they get to practice communicating their results to others. The session is just like presenting at a mini-conference! One of the goals of the undergraduate major in Psychology is to teach students how to read and write APA formatted articles. As teachers of Experimental Psychology, we believe that making posters is a developmentally appropriate assignment for students in lab-based courses. Posters are useful in helping students to visualize information, pull together big ideas, and explain their research projects to others. It is really wonderful seeing students working hard to learn skills that they know will be useful in the workplace. Let’s just say from the start that we (Eric Landrum and Garth Neufeld) are delighted that we were asked to write a blog post for GSTA. We are both heavily invested and deeply believe in the mission of the Society for the Teaching of Psychology (STP), and of course that pipeline starts with GSTA. Thank you so much for the invite! Whether a graduate student’s ultimate goal is to achieve employment in an academic setting or a professional setting, there will be an application for a position, competition for a good job, and the need and desire to stand out from the crowd. As we change jobs throughout our careers, this process repeats itself, whether in or out of academia. Each of us wants to make an impact, and in higher education, that goal has become so formalized that operational definitions exist (e.g., h-index). As graduate students, we suspect you are pushed hard to think about peer-reviewed publications in top-tier outlets with high impact factors, grant applications, conference presentations, and perhaps the occasional book chapter. These are certainly the traditional means by which graduate students and new assistant professors have been demonstrating impact for the past century in psychology. Allow us to be so bold to suggest that there may be alternative, non-traditional means to demonstrate our impact on our discipline. Back in October 2017 we launched a podcast called "PsychSessions: Conversations about Teaching N'Stuff." We ask our friends and colleagues to sit down with us for about an hour and we record an unscripted conversation about the teaching of psychology and, you know, stuff. By the way, we give our guests complete editorial control; if they want something deleted, we delete it. To date, there is no advertising and the podcast is not monetized, although two episodes were sponsored (our travel expenses to interview Bill McKeachie and Charles Brewer were paid for by STP). As of this writing, we have released 21 full episodes and 3 mini-episodes of PsychSessions. Has the podcast been wildly successful? Hard to say. We do know from the media company that manages our podcast (Libsyn) that since our October 2017 podcast launch, all of our episodes cumulatively have had 5,710 unique downloads. Does everyone who downloads the podcast listen to it, or listen to it in its entirety? Doubtful. But now think about impact. When thinking about book chapters or journal articles that either of us has written, did any of those artifacts of our scholarly prowess have any impact? Might listening to a podcast be more impactful that publishing a rarely-read journal article? Yana Weinstein and Megan Sumeracki (2017) surveyed psychological scientists about their perceptions of the utility of using blogs and Twitter to communicate psychology to the general public, and the key challenges to these communication streams becoming an impactful practice appear to be (a) the attitude that communicating scientific findings to the public is less prestigious than communicating scientific findings to the science community, and (b) the inability or lack of time to be able to tweet or use blogs effectively. For now, graduate students will likely have to follow, for the most part, the centuries-old recipe regarding impact and establishing one’s credentials – we hope this balances between part scholar with research skills (publications, conference presentations, grant-writing ability) and teaching skills (teacher-training, supervision, actual teaching experience). We think it is easy to imagine an assistant professor job opening at a prestigious institution with over a hundred applicants for the singular position. Now imagine the bevy of well-qualified individuals who excel in both dimensions of research and teaching – what shall be the tie-breaker? Perhaps the tie-breaker might be that applicant’s ability to have an impact beyond their own classroom and research lab – whether that be 10,000 followers on Twitter, a podcast, service to a national organization, founding a non-profit organization, community organizing, or other creative endeavors that demonstrate professional skills. Real impact. Pick a book. Look at someone else’s syllabus. Modify the latter to fit the former. You are now teaching!! I have come a long (long long) way from the way I designed my first class. I did not take a ‘how to teach’ course. I will admit that in graduate school I felt pressured to work on being a stellar researcher above all else. I worked on publications and not on the craft of teaching. Little did I realize that the same skills I took to doing research could, can, and should, be applied to being an excellent teacher as well. Teaching needs to be examined in the same way as we examine research. When I started, I did not have the advantage of the Graduate Student Teaching Association (GSTA) resources and the area of scholarship of teaching and learning (SoTL), while around, was not as developed as it is now. Times are different now. There is now a variety of resources on how to teach well (see Gurung, Richmond, & Boysen, in press for a review and summary) and subjecting your teaching and your students’ learning to the same scrutiny as you do your research question is now easier to do. You can browse through an empirically based guide to being a model teacher (Richmond, Boysen, & Gurung, 2016) or even develop your own SoTL skills (Gurung & Wilson, 2013). Most importantly, there is a now a virtual home to bring together those interested in advancing teaching and learning. If you are interested in questions such as ‘What is the best way to teach psychology?’ and ‘How should students study to learn?’, there is now a resource to help share answers and facilitate the search for solutions to common pedagogical problems. If you are a graduate student teaching your first class, you may believe that the challenges you face are unique. You may attribute the issues to newly venturing into the classroom or newly taking on the mantel of instructor. While both these attributions are valid, nearly every graduate student and many novice instructors and faculty face the same questions. To date there has been no coordinated effort to examine these questions. Whereas a large body of pedagogical research on teaching and learning exists, I have found that the absolute majority of research is conducted within individual classes at different institutions. Furthermore, few studies test theoretically-derived questions and not enough classroom research sufficiently translates and tests lab findings. The reasons for these shortcomings are clear. Relevant research is published in diverse areas. Whereas many readers should have read articles from Scholarship of Teaching and Learning in Psychology, Teaching of Psychology, and Psychology of Learning and Teaching, that is only the beginning of a long list of journals that cover material related to teaching. As a graduate student you may not have the time to prepare your next class, let alone read the literature on teaching. Then there is the pressure, both real and imagined, to get your dissertation done and publish enough to make you a good job candidate. Even most faculty do not have the time to fully explore the rich literature on the scholarship of teaching and learning. Interested faculty often lack the time, network, design expertise, or experience to conduct classroom research. The time to alleviate these problems is here. Thanks to support from APS Fund for Teaching and Public Understanding of Psychological Science, I have been able to design a new online resource to serve those interested in evidence-based practices in the classroom. The site helps coordinate scholarship on teaching and learning with a variety of tools and resources. It can also foster collaborations between researchers investigating the science of teaching and learning to catalyze further research on these topics. Do you feel isolated as a graduate student who is passionate about teaching? Great news. There are many similar individuals who also feel the same and who have put their names together. If you want to invigorate your teaching and lay the groundwork for a satisfying professor of psychology, start early. Connect with the Hub for Introductory Psychology and Pedagogical Research (HIPPR). If you get HIPPR (pronounced hipper) now, you will find the answer to many teaching challenges and have the support network for your pedagogical explorations. - Literature Central: A central clearinghouse for research on teaching Introduction to Psychology and pedagogy in general, providing research summaries from multiple disciplines to aid future research. - Collaborator Finder: Instructors can find collaborators, faculty who have similar pedagogical questions, or instructors willing to volunteer their classes/students for testing of pedagogical interventions. - Scales-n-More: A collection of questionnaires and surveys commonly used in pedagogical inquiry that are ready for use. A particularly handy resource for novice pedagogical researchers, these measures will also help ensure comparisons across samples. Future innovations will include a Data Repository (data sets for secondary analyses) and a Virtual File-Drawer (brief reports of unpublished studies which may prove helpful in the design of additional work). You can learn more about HIPPR and the tools it offers at HIPPR.UWGB.ORG. Get started now. Perhaps you will find collaborators for a study or pools to test your own pedagogical innovations. In either case, I hope the resource will fuel your passion for teaching. Gurung, R. A. R., Richmond, A., & Boysen, G. A. (in press). Studying excellence in teaching: The story so far. In B. Buskist & J. Keeley (Eds.) New Directions in Teaching and Learning. Gurung, R. A. R., & Wilson, J. H. (Eds.). (2013). Doing the scholarship of teaching and learning: Measuring systematic changes to teaching and improvements in learning. San Francisco: Jossey-Bass. Richmond, A., Boysen, G., & Gurung, R. A. R. (2016). An evidence-based guide to college and university teaching: Model teaching competencies. New York: Routledge. The GSTA hosted a roundtable discussion titled “How to turn your teaching into research” at the Graduate Center, City University of New York (CUNY) on April 18, 2018. The goal of the roundtable was to introduce graduate students to opportunities to engage in the Scholarship of Teaching and Learning (SoTL) as they embark on their careers as instructors of undergraduate psychology courses. The panelists were Dr. Phil Kreniske, post-doctoral fellow at HIV Center at Columbia University and New York State Psychiatric Institute, Dr. Kasey Powers, post-doctoral research scientist at Mercy College, Professor Michael Mandiberg of the College of Staten Island and the Graduate Center, CUNY, and Professor Eduardo Vianna of LaGuardia Community College and the Graduate Center, CUNY. Mandiberg is an interdisciplinary artist and coordinator of the Interactive Technology and Pedagogy (ITP) Certificate Program at the Graduate Center. Three of our panelists (Kreniske, Vianna, and Powers) are alumni of the PhD Program in Psychology at the Graduate Center, who engaged in SoTL research as part of the doctoral studies (see, e.g., Kreniske, 2017; Powers, Brooks, Galazyn, & Donnelly, 2016; Stetsenko & Vianna, 2009), with Kreniske and Powers also completing the ITP. Additionally, Powers and Kreniske were the founding editors of the GSTA blog, which makes it even more exciting to feature their accomplishments! We asked our panel what they thought were some of the hot topics within the SoTL field that graduate students might fruitfully pursue as instructors. Mandiberg said, “I think graduate students considering SoTL work should ask not what the hot topics are, but what the topics are they are struggling with in their own classroom, from technical matters like OER [Open Educational Resources] and learning delivery to digital information literacy and civic engagement.” Some of the questions Mandiberg and students have explored in prior work include: How can our students contribute to a digital commons, and what influence does this have on learning when they do so? What does experiential learning look like in a digital field? How can learning inside the classroom scaffold better learning outside/after the classroom? The panel addressed a wide range of topics including, for example, interdisciplinary perspectives on SoTL research methodology, mentoring undergraduate students as research assistants, and sharing one’s own research with students in the classroom. For those who were not able to attend the roundtable in person, a recording of the event is available online. We were grateful to the panel for a lively discussion and hope you will enjoy watching the recording! Kreniske, P. (2017). Developing a culture of commenting in a first-year seminar. Computers in Human Behavior, 72, 724-732. Powers, K. L., Brooks, P. J., Galazyn, M., & Donnelly, S. (2016). Testing the efficacy of MyPsychLab to replace traditional instruction in a hybrid course. Psychology Learning & Teaching, 15(1), 6-30. Stetsenko A. & Vianna E. (2009). Bridging developmental theory and educational practice: Lessons from the Vygotskian project. In O. A. Barbarin, B. Hanna Wasik (Eds. ), Handbook of child development and early education: Research to practice (pp. 38-54). New York: Guilford. Sue, D. W. (2003). Overcoming our racism: The journey to liberation. San Francisco, CA: John Wiley & Sons. Wine, J., Janson, N., & Wheeless, S. (2011). 2004/09 Beginning Postsecondary Students Longitudinal Study (BPS: 04/09). Full-Scale Methodology Report. NCES 2012-246. National Center for Education Statistics. To learn how we might improve our teaching by including the perspectives of International Psychology, we interviewed two experts on the topic. We spoke with Dr. Florence Denmark and Dr. Janet Sigal. Dr. Denmark is a former President of the American Psychological Association (APA) and currently serves as the main representative of the International Council of Psychologists (ICP), a non-governmental organization (NGO) with official affiliative status with the United Nations (UN). Dr. Sigal is a current representative of ICP and has previously served as the main representative of the APA to the UN, and as President of APA Division 1, Society for General Psychology. Both have been very active as faculty whose expertise in Social Psychology, Women’s Studies, and International and Cross-cultural Psychology has left quite a legacy. Teresa Ober (TO): Thank you again for agreeing to take part in this interview. We are planning to ask questions about your experience in relation to International Psychology and teaching. We would like to know what conclusions your experience has led you to in relation to how instructors can better prepare their students to appreciate psychology from multicultural and multinational perspectives. To start, what factors drew you to study psychology? Janet Sigal (Sigal): I have always been interested in how people think and their behaviors. In Introductory Psychology, I had Philip Zimbardo who inspired me to become a psychology major. Social Psychology appealed to me because it dealt with issues in the real world. Florence Denmark (Denmark): I was a history major at the University of Pennsylvania when I took Introduction to Psychology. It was a two-semester course with a lab. We carried out 16 experiments over the year from reaction time to several Asch studies. It was exciting to either support or refute certain hypotheses. For example, looking at children’s pictures and rank ordering them in terms of IQ showed that you could not judge children’s intelligence by how they looked. For me it was really an important thing to learn. I became fascinated with Psychology and received honors in both History and Psychology. My interest in Psychology was to carry out research to find out what people did and why. TO: Despite the fact that psychology, in some form, has been a topic of study and interest across international boundaries pretty much since its inception as a field of study, the area of International Psychology seems fairly new. Could you talk a little about the history of International Psychology? Sigal: One of the significant things that happened was the development of Division 52 [International Psychology]. Before that there was not that much interest in International Psychology. Denmark: Well, I think a lot that, other than certain basic things, psychology was really not international. More so it became with the inception of Division 52. Also, with other international organizations, for example, the International Council of Psychologists (ICP), which was formed in 1941, and others that had an interest in networking cross-nationally, there was increased interest in international collaborations. That, and along with the international Division 52, made psychology more international. Sigal: It took some time before the international organizations became effective. TO: How did you become interested in International Psychology? Sigal: I had several international students in the doctoral program. Many of the students were interested in conducting some of the studies in their home country. By comparing results in the U.S. with those in the students’ countries we learned a great deal about International Psychology. Denmark: I became interested in several different ways – through the APA and because of CIRP [Committee on International Relations in Psychology]. I was elected to that committee; I got to meet different people and when I was president of APA and president-elect, I started going to international meetings and meeting people from many international countries. As president-elect of APA, the first person I met was from Lima, Peru. As APA President and as an ICP member, I went to different countries—to Norway, West Germany, East Germany, China and Israel. The whole thing made me very interested in what was going in different countries. Through APA and ICP, I really got to meet people and collaborated in research with them. TO: Do you believe that it is important to bring International Psychology into the undergraduate curriculum? Sigal: I do believe that it is important, and especially felt that way when I was teaching. However, in my experience the teaching of International Psychology often is not a high priority in traditional psychology departments. I taught in a university that was very diverse and emphasized the importance of culture in all areas of psychology. Denmark: I wonder what is going on in the U.S. in terms of the curriculum and including International Psychology. Maybe we have more of an interest in certain regions? I am not sure what is included, but I would like to know. One of the things that I find important is for instructors who are writing or even just reviewing and considering textbooks for undergraduates, especially in areas of general psychology, is the inclusion of an international context as well. TO: What challenges do you foresee in making topics related to International Psychology a greater part of the foundational undergraduate psychology degree? Sigal: I do not think that there needs to be a separate course on International Psychology, but an international perspective should be included in every psychology course. Denmark: maybe a lot of this would be up to Division 2 [Society for the Teaching of Psychology] to produce sample syllabi of different courses that include international topics. These could point out the importance of it—the teaching of International Psychology. Denmark: Finding out what’s going on in Division 2 would be a good place to start. Sigal: One of the challenges is how the international research is viewed by U.S. researchers. Often, there are no research participant pools, and random selection of participants is impossible in cross-cultural studies. However, I don’t think that it makes the research any less valuable. Denmark: The other challenge is how to get people who have been teaching the same courses year after year with the same notes to make changes and include international work. Sigal: The fact that we are at the UN makes it easier for us to consider international research important. New technologies might not exist in less developed countries. International organizations, such as ICP, and Division 52 have ways for people to forge international collaborations. TO: What do you foresee as big topics related to instruction in International Psychology? Sigal: I think that the work we do on women’s issues will be very important. The issues dealing with collectivistic or individualistic cultures remain significant. There will continue to be an emphasis on developing culturally sensitive measures of mental illness. There also may be an interest in the impact of social media. Denmark: As someone who teaches the History of Psychology, it should be interesting to look at different countries in different parts of the world. In Africa, Asia, the Arab world, there are a lot of things going on that we are not aware of that should be included in history. TO: Minzhi Liu, a current APA intern also has some questions to ask. I am going to turn things over to her now. Minzhi Liu (ML): Thank you Teresa. It is my pleasure to interview Dr. Denmark and Dr. Sigal and I’m grateful for this opportunity. My questions are of interest to the cultural perspective and how we could further apply the knowledge of International Psychology in our careers and research. Is there a disparity between western countries in viewing psychology and the rest of the world? If so, what are the problems and how can we solve them? Sigal: There definitely is a disparity between western and non-western countries. The only way to resolve these problems is to work with someone from that culture. It is important to ensure that the research is acceptable and understandable within the context of that culture. In terms of clinical research, for example, a clinical psychologist from Kuwait spoke during one of Dr. Denmark’s classes. He discussed the difficulty of doing therapy in this culture because of the stigma attached to mental illness. Denmark: Many countries don’t even have or use the word “psychology.” There are many other words used instead of psychology, depending on what you’re talking about, whether it is mental health, well-being, etc. This is one of the problems. I think that there is a certain disparity, but not in all places, and people are eager to learn. That is something that we can do. If you’re working with someone and speaking about the problems that they have, don’t come in as if you know it all, and say this is what you should do to solve your problems. It is important that you work with a person or a group and help them become the facilitator. Sigal: When we did our study on sexual harassment, there was no such word in the language in some countries. Even with a good translation, some of the concepts used in the U.S. research project may not apply to participants in other cultures. ML: What types of professions/occupations are available to individuals who study International Psychology? Denmark: We have the term International Psychology, but it is not at the same level of cohesiveness as something like Social or Clinical Psychology. However, there are academic careers where people can teach in other countries. It is often advertised for teaching in other places. Even in the United States, there are courses being taught more and more in International Psychology or in Global Psychology, such as at Pace University where there is a Master’s program with a global track. Of course, faculty have to be available to teach these courses, which means there is a demand for careers in this field. There are also work and internships at the UN where people can get positions as a psychologist. Knowing different languages helps. Sigal: I also think that even in I/O [Industrial-Organizational Psychology], there are jobs for graduate students where having the degree in International Psychology would be very helpful. I think it will be a growing field. Denmark: And one can be a consultant in different countries. ML: How can International Psychology establish human (i.e., personal and professional) connections throughout the world? Sigal: One thing I have found in my experience with ICP is that when you meet people at international conferences, personal connections will form quite easily. For example, often the President of ICP is from a different country such as Japan and you can connect with this psychologist. Our interns often are from other countries and that is another method of making personal and professional connections internationally. Denmark: When you say “human connection”—I think that it’s important to go to international meetings and belong to different groups to make personal and professional friendships. I have a lot of friends around the world. We communicate with each other about research ideas and it is really a friendship. It is really great to see these people from all parts of the world. Sigal: It is possible even for graduate students at different places to make those connections early on. At the UN, most psychology NGOs have intern programs. Once the interns have returned to their home countries, we often hear from them. We have a very different view of their countries once we have listened to their experiences. ML: I think it is very amazing to network through the same interests within International Psychology, but I also wonder, in terms of a global context, how International Psychology could build up human connections from different countries? Sigal: Some psychologists often travel to international conferences or conduct research in other countries. However, it is difficult for us to have any impact on national policies. Denmark: The only way that we can help is by way of the UN. If the statements that we write for different commissions have an impact, then it could influence policy. However, to have a major impact at the governmental level is more difficult. Sigal: We do have Psychology Day at the UN, where we meet with Ambassadors and they get to know about Psychology. Denmark: We have in some ways influenced the Sustainable Development Goals (SDGs), especially the inclusion of well-being as part of SDG 3. The Commission on Ageing was also influential in including [well-being] when referring to women. Sigal: These changes happen on a person-by-person level. Our interns often do presentations in NGO committees. That makes an impact on the NGO level and the society-level. If I were still teaching, the impact would come from my class and I would talk about the things I learn from the interns and from UN conferences. Denmark: Maintaining personal connection in an international context is very important. Sigal: The world is smaller now because of social media. That can lead to false impressions. We don’t have much control over what type of information is transmitted and what people can see. I still believe in the personal connection. ML: In what ways does international psychology contribute to the UN or other UN based NGOs? Sigal: I think we bring a different kind of perspective to the UN; we try to understand what people’s attitudes are and how they think. We don’t automatically assume that they are like Americans. We also learn to be diplomatic and are respectful of another person’s culture. We learn and observe before we form impressions of other people. Denmark: You learn to value people as they are and where they come from. It is important not to just recognize differences and similarities but also appreciate them. I also learn a lot from the interns. The interns are generally terrific. Sigal: One of the best parts of being a representative at the UN is working with interns. Organizing UN events also involves contact with UN staff and Mission staff which is exciting. TO: Thank you so much for your time and thoughts during this interview. A final question: if you could go anywhere in the world, where would you go? Sigal: I would love to Italy again and Greece for the first time. Denmark: I’ve been to 115 countries and now I would just like to go anywhere!